Who had a 'good' session today? This is basically an idea to share your log of nice sessions that you've had recently. Share your session screenshot, treasure maps and stories with us. No griefing discussion. People like to retain memories of good sessions, not bad ones. Serious posts and decent session description please. I'll start. Woke up early this morning and had been bunking up with a friend. Plugged into XB1 and had a complete session planned with a few old crew mates from RDR days. We ended up finding a nice fishing spot and for salmon to spawn. Was able to make $50+ in a small run. After a few shows of lasso, we raced across to the McFarlane's Ranch (it's vast). We decided to do some PvP missions. Lack of a mic made it hard although we voted wisely. I also ended up purchasing a Varmint rifle and depleted all my cash. Raided Braithwaite 3x. Bought a Repeating Shotgun which unlocked my 19 owned gun buckle. Before logging off had 2x full large posses race past me without incident. Feels good. Logged on in Blackwater to find I had the entire map west of Valentine to myself, so I spent a few hours doing leisurely stranger missions mixed with hunting and fishing, didn't see a single player the entire time as the missions carried me further and further west until I ended up in Tumbleweed, then back east until I called it a night at MacFarlane Ranch. Came out one level, one tier 3 card and ~$200 ahead of when I logged on. I enjoy mixing it up with other players and having opposition but sometimes a chill solo journey is fun too. Helped a friend make 850$ over the course of 5hrs or so by playing story missions and hunting the bayou, so that he could buy the receipe for express explosives. befoore he got on, I possed up with a level 4 , who had probably his/her first day playing online, and helped ranking up to lvl 10,11.
inbetween all of that I like feeding and petting my most loyal companiero John Brown. I had a good session last night! I was roaming around free roam and noticed a nice ravine going from thieves landing towards new Austin. I remembered seeing some canoes spawn in blackwater so thought I would head there and grab one to explore. When I got to blackwater nothing was spawning in so I thought to pass some time I will fish from the pier. (it was unusually empty for a change in town} I had been there about 5 mins and only caught a couple rock bass and pickerel when another player walks up to me. I think great here we go as he waves. So I downed my rod and waved back expecting to be shot as per usual. But to my shock he just stood there watching me fish. Giving me thumbs up. Then he vanishes and comes back carrying a sturgeon which he drops by my feet. I wave to say thanks and take it to the butcher and sell it. we both fish together for a while then another peaceful player wanders up and joins us. Eventually the inevitable happens and some players decide to start shooting us. The friendly player invites us to his posse and we attack the griefers until they move on. He the proceeded to show me a couple of other good fishing locations and we finished the session off by playing a few stranger missions until I had to switch it off. Had a good 3+ hour session yesterday. Hunting in my favoured area between Strawberry and Adler's Ranch was peaceful and profitable, leveled my new horse up to level 4 bonding, got my character up another level to 59 and after a low level wannabe killed me when backing out of the butcher I taught them a swift lesson in freeroam etiquette. Never got online today unfortunately, but bought a fishing rod yesterday too give fishing a whirl. The server was full of four man gangs for some reason, never seen it like that before, but decided to plug on with the fishing regardless, and have faith in my fellow outlaws, glad I did. I fished for about an hour south west Benedict point, when I noticed two four man gangs approaching, thought here we go, a couple of them came over and asked me what fish I was catching, to which I answered, and told them that I had only purchased the rod, and didn't really know much about the ingame fishing. Then one of them told me I should try O'Creagb's lake up north, I thanked them and they rode off. Glad I didn't try any thing foolish when they where approaching, it would have went south for me very quickly. Go to the fishing hook symbol on the map in Lagras, there's an old lady who sits on the porch there. Buy a special spinner from her and you can use it anywhere, any river or lake, to catch tons of fish very quickly. Works wonders. 12 hour play session today. Considering it's negative 10 out..
First off.. I was logged into the servers...12 hours straight ..not a single disconnect ...bravo Rockstar! Screen name was outlaw momma or something like that ..level 4. When all of the sudden a cougar pounced on her.. I quickly shot at it and it let loose of her,and came after me...I put it down with a single shot to the head. 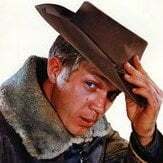 I stood over it..hoping she would come skin it.. eventually she did..she put the pelt on her horse..and left the carcass...so.I picked up the carcass and put it on her horse.. lol... we hung out a little longer..then I take it she high tailed it to the butcher.. I hope she made it. Purchased the last 2 stable spots and 2 more horses.. a work horse I named Gandolf and a race horse named speedy. Most players I ran into just seemed to be doing thier own thing. Had a productive, grief free hunting session just outside Saint Denis last night. Hunted pelicans, spoonbills, alligators and opposum. Walked back to the butcher with a three star coastal horned owl. Then I hunted a couple of Canada geese en route to the Heartlands. I hunted a raven and a deer in the Heartlands, sold them in Valentine, and headed back to camp to end the session. It felt good. Began in Amberino as I usually do, then made my way to Rhodes by which point I had a bulky load to sell. The area began to populate, though everyone was just hunting and remained peaceful. Another player started chasing my friend across the region, only for him to discover that once he caught up with him, he put a perfect cougar on his horse, waved, then galloped off. Then did it again. Wasn't trying to grief my mate, just wanted to make a friend. Had another great little session today. Hit level 60, hunting went well, the few players I ran into out on the trails were just doing their own thing. 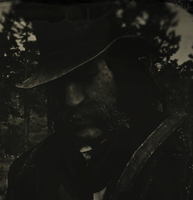 After my second hunting expedition I sold to the butcher in Valentine and went to the smaller of the two saloons to collect the free gin, another player came in after me, I thought there was going to be some drama, but no, like me he must prefer a dive bar, so we sat for a minute and had a beer before going on our separate ways. This game has many, many problems, but, from my own admittedly niche perspective, when I can roleplay, be out on my own hunting, have dynamic, one off experiences like having a beer with a stranger in a saloon before setting back out again, this game can really be brilliant at times. Thanks AssBlaster, didn't know about that, will have too pay her a visit. What sort of bait do you prefer when fishing. Since I got the Special Spinner I don't really use any other baits or lures, but the Lake/River/Swamp lures can be alright if you want to exclude small fish and just go for bigger catches. Personally I prefer to just reel in whatever I can, even if they're only worth $0.75 - $1 they reel in quickly and the value adds up fast. This game can surprise you in so many way's, I just love it single and multiplayer. Oh I didn't know that you could fish without baits using the special spinner, gota pay that woman a visit asap. No problem, I'm happy to help out. 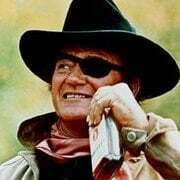 Any fan of Rooster Cogburn is a friend of mine. Happy fishing! Me often have a good sessions. When started no matter where, i'm heading on West, doing those missions which help me go in right direction. I.E. i'm started in Rhodes, so i go to the Post office full of hopes that Alden give me a Vagon Supply mission which need to be delivered in Valentine. Not so often it happens, but there is a chance. If not, i'm just do every mission in Rhodes and leave town going in Blackwater. So i'm reach Macfarlane Ranch and continue go further — in Tumbleweed while doing missions. When i'm reached Tumbleweed i stayed in Gaptooth Ridge and doing every mission in this region. Just the way it is that on West is very small amount of players or whole state simply empty. 134 rank now, $7826, 9.86 gold. I bought my special spinner for catalogue earlier in game. But I have noticed that special swamp lure cannot be bought from catalogue. Only from that bait shop lady. Whats the biggest fish in the swamps? ranked up to 48, bought my last ability card (winning streak), and I found a treasure map (after weeks) at bear claw camp, cleaning the hideout. I had a great session last night. First I went fishing, but realized I already had 10/10 salmon/trout, so I immediately went and sold for a $50 profit and then caught 20 more. Then headed over to the bayou for bird and small game hunting together with my pals, but got interrupted by a posse assassination mission. We outsmarted them, they turned salty and tried to kill us afterwards so we chased them away and was about to continue hunting when they came back at us, again. At this point the Rosenthal steamroller commenced to spawnkill these losers relentlessly until one of them parlayed and the other two tried taking cover at a Stranger mission. We hung around and killed them as well as we could until they all left after about 5-10 minutes. Finally, back to the bayou where me, my two friends and a bunch of strangers (maybe 4-5) were peacefully hunting side by side. I was a bit concerned when me and a stranger spotted a flock of herons simultaneously but we shared the gains in brotherly fashion without any conflict. Then another friend came online, he’s a bit bored with Red Dead Online at the moment so we all decided to get on GTAO for a bit to slay tryhards. It went as usual, and we topped it off by luring a couple of them out in the streets to do dancemoves when my buddy pressed the OC-button and blew them to shreds. Had a good session today. Hit rank 78 and bought the rolling block rifle after alot of consideration and googling rolling block vs carcano. Haven't regret the purchase, the things powerfull as hell. Spend the rest of the session sniping cop xp farmers in SD. Its NOT griefing. They're ruining my hunting in the bayou. I've dc'd endless times due to 5M cop bodies laying around. It'll be interesting to see if R* make levels as irrelevant as ranks are in GTAO over time. As they add new content will they have unlocks up to 200, 300 etc. over time? That would keep day one players going, but it isn't friendly to a player who buys the game late 2019. Turns on game, completes intro, "oh, that horse is cool. What? Unlocks at level 320, f*ck this game". I was finally able to get the Gold Buckle for clearing out 4 Gang Hideouts in a day, so there's that. Funny, my 1st gang hideout I cleared when I first started online, I got a treasure map. Done at least 20 after that, and nothing. My guess is that post-release content will be open to all, GTAO style. It just makes more sense. Maybe a few cosmetic items for high level milestones. Plus you keep getting a treasure map every 5 levels, so that's a nice little bonus incentive. griefing aint too bad nowadays although its mainly low level try hard, we had a level 6 who just would leave us alone yesterday he followed us all over. My mate said he must have jest been after one kill against us 2 at level 110 and 165 but he didn't we must have killed him 20 times but he kept coming. I opened up in lemoyne.. did my typical hunting rounds got a perfect deer for somwhere and went bird hunting just west of the docks in saint denis.. got a few random herons and birds and then out of no where a whole flock of rose spoonbills. Knock down four of them and can you believe that rockstar servers let me load up my horse to full capacity and stroll into the butchers and make nearly $80. No griefers, no lagging, no butcher trying to pull any fast ones. I disconnected thanks to rockstar servers shortly after but hey up until then it was pretty awesome.